Winter Wonderland: Skiing in Lake Tahoe at Heavenly and Northstar » Lavi was here. What do you do when you’re 12, move to a new town, and want to make friends? Join ski club, obviously. That’s what I did when I was 12, at least. I’m not sure exactly why I chose ski club over any other activity when I’d never skied before and didn’t love the cold and the snow, but, I did it anyway. It didn’t turn out that well the first time. I was awkward and uncoordinated, bit off more than I could chew, and found myself tumbling down the mountain more than a few times. I remember even having to take off my skis and toss them in front of me, then roll down the mountain at one time. I never picked up skis again after that. Until now. 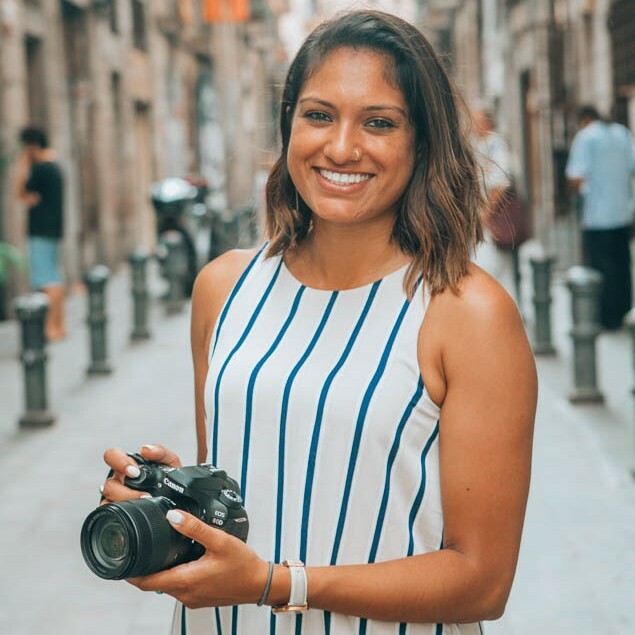 At age 29 and since it was my first time skiing in Lake Tahoe, I was slightly scarred from my 6th-grade skiing experience and didn’t know if I had the courage to get back on the slopes. 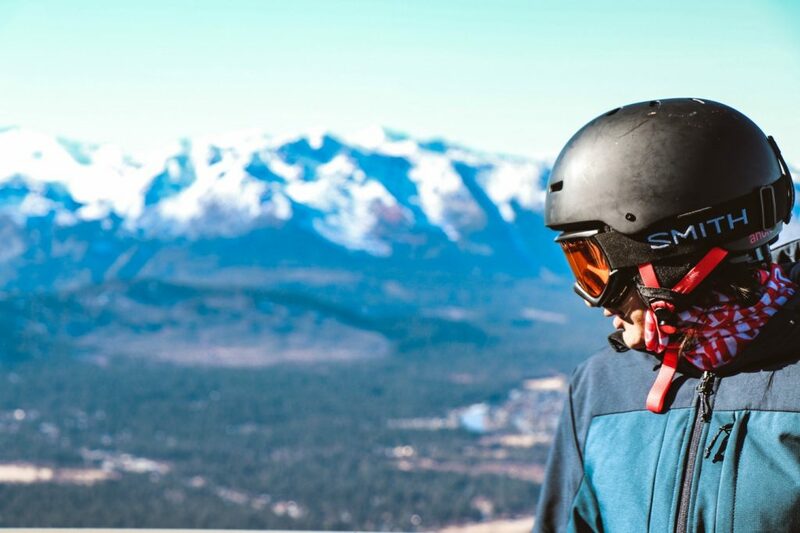 With so much to do all year round, spending weekends in Tahoe is the norm for those living in Northern California. I hadn’t been yet and didn’t know where (or how) to experience Tahoe for the first time. 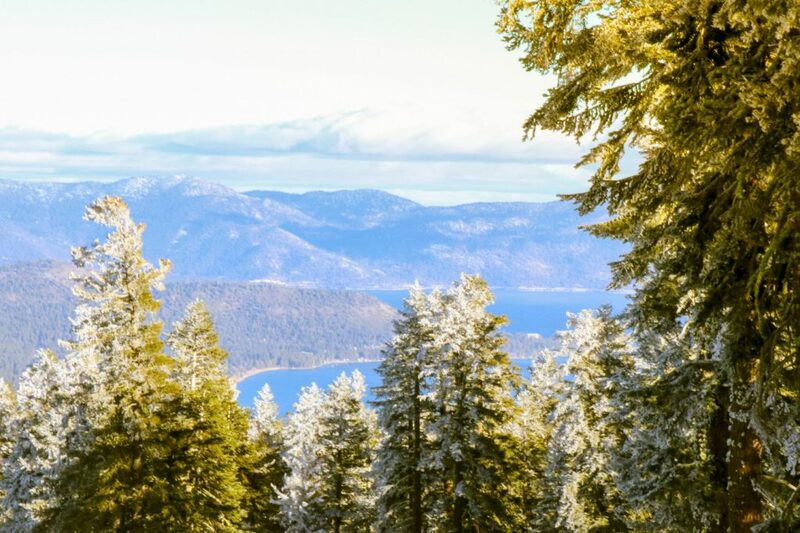 There’s North Lake Tahoe and South Lake Tahoe — how do you choose? 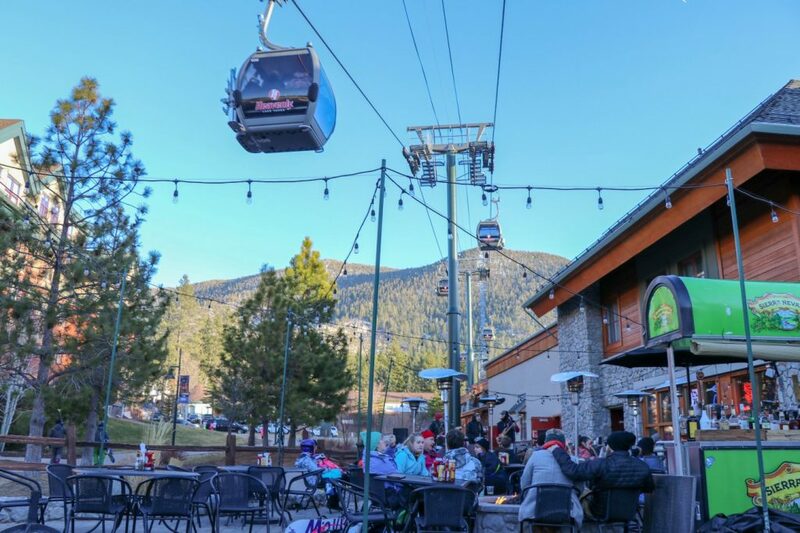 I was lucky enough to jump back on the slopes of Heavenly in South Lake Tahoe and Northstar in North Lake Tahoe with Vail Resorts and the rest is history! It turns out I love skiing and my adult self is better at it than I anticipated! Here’s how it went down. 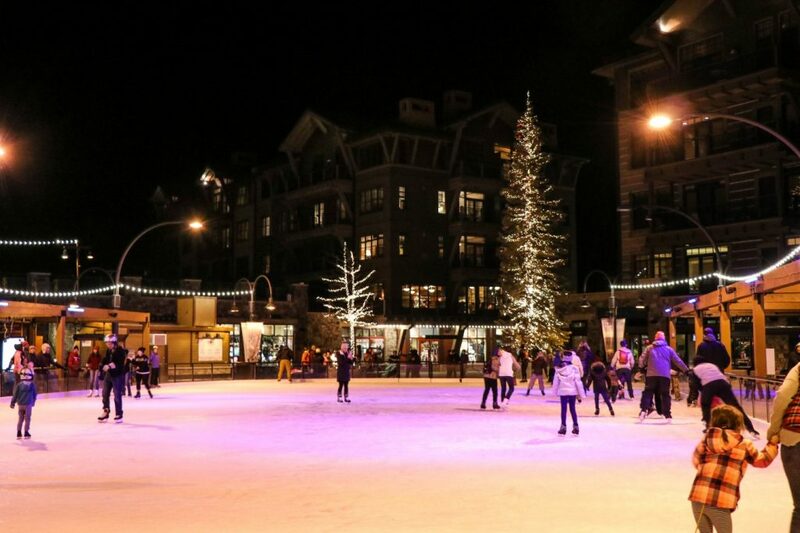 I felt like I’d stepped into a Winter Wonderland somewhere in the Alps as I walked through the Village at Northstar. 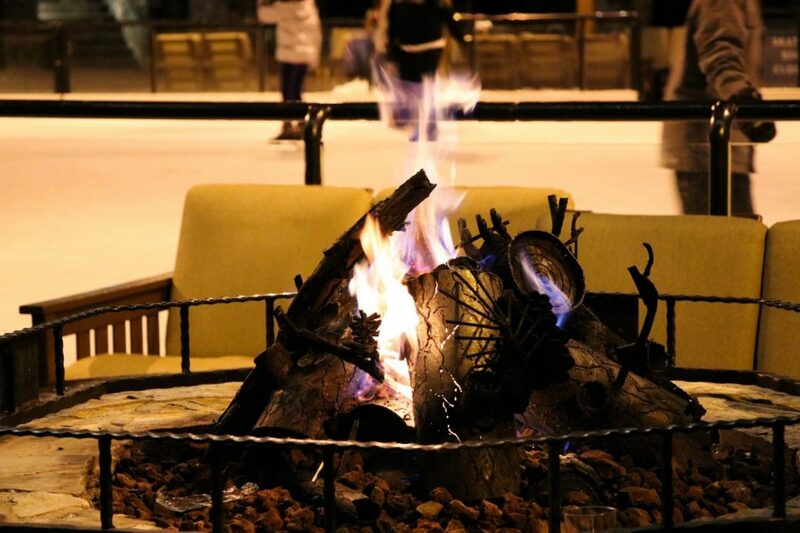 White lights hung above a ski rink, visitors huddled by fires as they enjoyed drinks — it was everything I’d imagine a ski resort during the holidays to look like. It immediately filled me with the Christmas spirit. We had a couple of hours before meeting our ski guide, so I made the decision to conquer my nerves and get on the slopes early. I didn’t heed the warnings of, “never let your boyfriend teach you how to ski,” but thankfully, I didn’t need much help! I got on that bunny slope and skied my way to the bottom without falling. Success! Once I realized I actually did remember skiing basics, of the main skills I wanted to learn was how to ski with my feet parallel instead of making a pizza shape with my skis to slow down. That’s where our guide came in. Kristen, our Northstar guide, took Michael and me up the mountain and assessed our skiing ability. We practiced a few drills and she narrowed down what we needed to focus on to successfully ski down the mountain. Michael’s is a great skier and didn’t need much coaching, but he had a fun time joining Kristen and me. She taught him some of the fundamentals that he had never considered. I even graduated from a few of the easier ski runs to a couple intermediate runs! Despite the falls I had, it was so worth it. The views from the ski lift and from the top of the ski runs were beautiful. 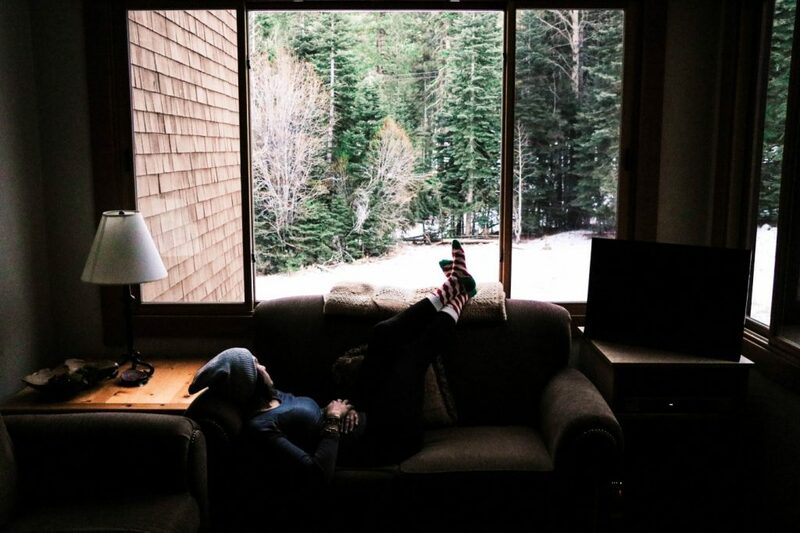 What’s better than having views of the Lake Tahoe and mountains at the same time? 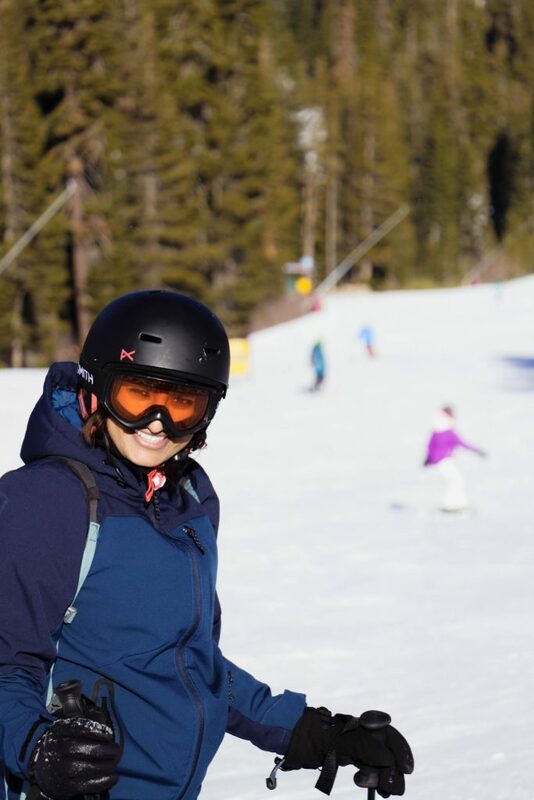 I felt so free as I skied down the mountain and took in the views at the same time — that’s multitasking at its best for me! Kristen was attentive and an amazing guide — and person! She truly made our experience unforgettable and taught us so much. She even showed us some cool spots to see beautiful views of the lake and surrounding mountains. We coincidentally bumped into her later that night after dinner! It was so great to catch up again without all our ski gear on. Not only is the Village at Northstar beautiful, but staying in a Northstar condo after a long day of skiing was so relaxing. 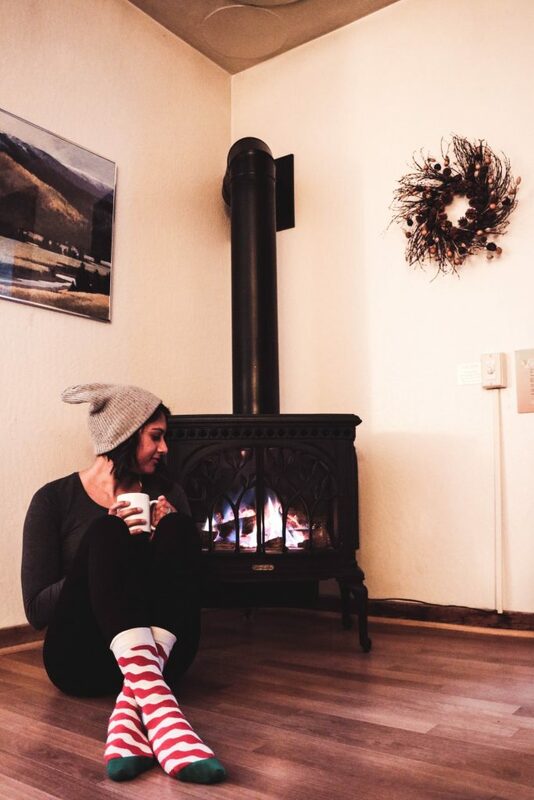 With a fireplace and views of the snowy trees, I never wanted to leave! We did need to step out for some drinks and dinner in the Village, though. With so many cool bars and restaurants, we had to try a few of them. The Northstar shuttle picked us up from our condo (no driving = so convenient) and we hopped around to Rink Bar, TC’s Pub, and finally Yamakai Fish & Sushi Co. for dinner. Every place was delicious and had a positive, happy vibe. 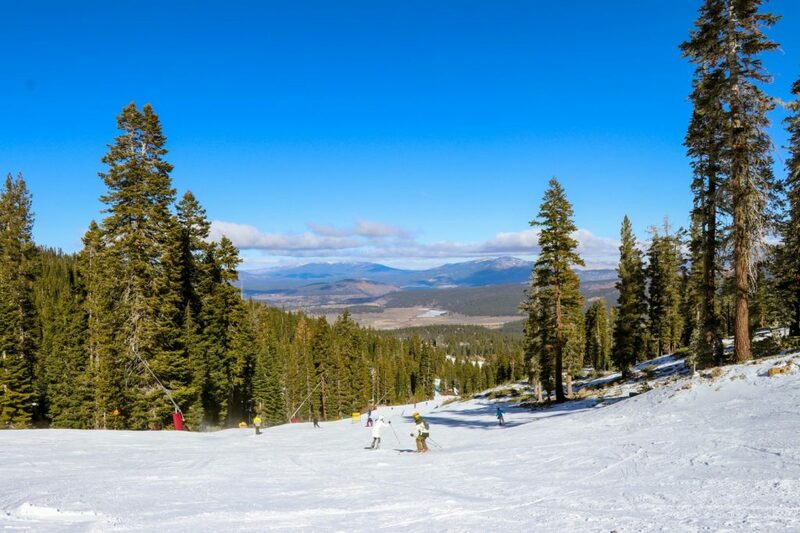 Northstar has everything you need to have an incredible ski trip in one place. I woke up on Sunday a little more sore and tired than I expected, but I was ready to conquer Heavenly! Heavenly Village was bustling by the time we made the 1-hour drive from the north to south of the lake and the conditions were perfect. Despite the number of visitors, we were in the Gondola and on our way up the mountain in no time. About halfway up, we stopped at the observation deck for a breath of fresh air and stunning panoramic views of Lake Tahoe. The Gondola only stops at the observation deck on the way up, so it was our only chance and the best way to start the day. There were only a few runs open at Heavenly since it’s the beginning of the season and they were packed, but we didn’t feel rushed on the ski lifts or down the runs. We tried out a few different runs and I certainly challenged myself. Admittedly, I skied worse than the day before. I attribute it to feeling sore from my first time skiing the day before — does this happen to everyone on the second day? I even fell so hard a few times that I’d lose a ski as I hit the ground. It’s all a part of the learning experience, and albeit frustrating, I still got back up and continued to ski. A more comical moment of the day occurred when we took a break for lunch at Tamarack Lodge on Heavenly Mountain. After an awesome lunch, we walked outside to find that my rental skis disappeared! I’d seen a few rentals that looked exactly like mine, so I wasn’t too surprised, just thoroughly bummed out. We reported the loss with Security and every Heavenly employee we spoke to about it chuckled about how often this happens with rentals. Everyone coincidentally gave us the same advice: separate your skis on the racks when you leave them. No one will accidentally take off with only one ski! We had just about given up and Michael was going to continue to ski while I hung out at Tamarack Lodge when we decided to take one more look around with the security guard. Right at that moment, someone skied up to the racks and propped his skis up on the rack. I sneakily waited for him to walk inside before I inspected the skis. They were mine! The three of us had a good laugh about how quickly I lost and recovered my skis. Luck was on our side at Heavenly! 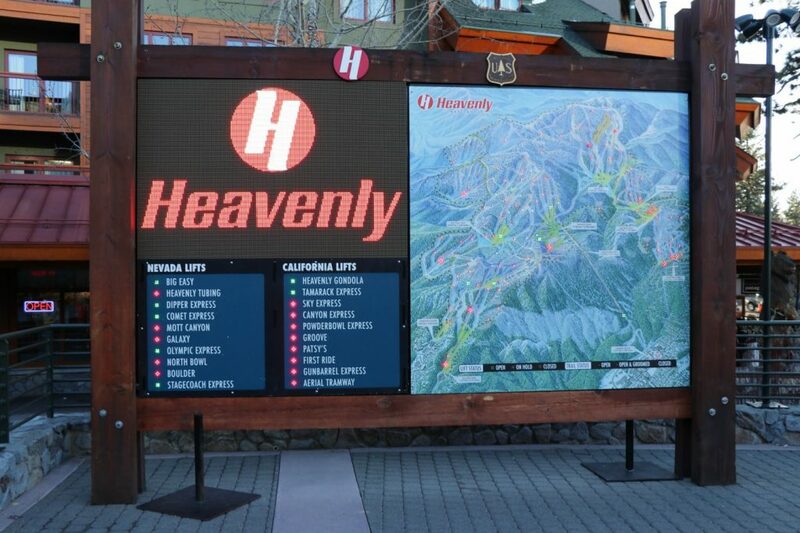 Heavenly Mountain was beautiful and fun with many ski run options. I can’t wait to come back when more runs are open and explore more of the mountain! 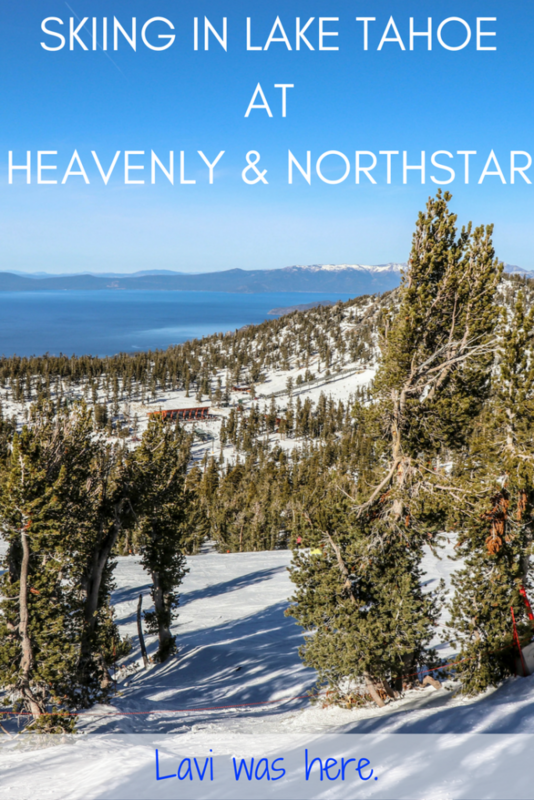 What really blew me away about both Heavenly and Northstar was the people working at the resorts. 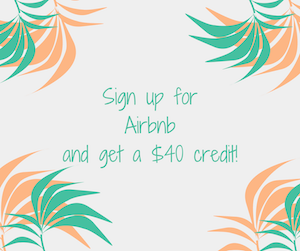 Everyone was so friendly and helpful! From getting fitted for skis at Heavenly Sports Winter Rentals to the people scanning our lift tickets, everyone smiled and told us to have a great time. It really stuck with me and is a reflection of how much those at Heavenly and Northstar love their jobs. 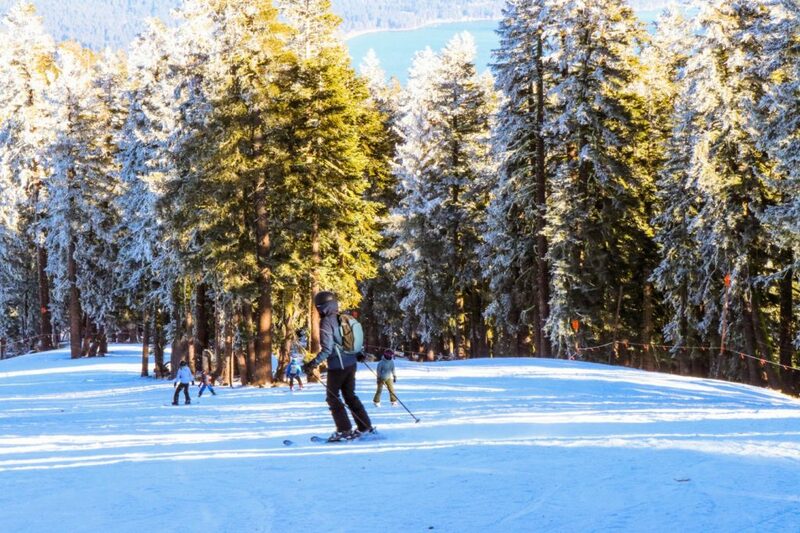 I also loved the ease of skiing at both Northstar and Heavenly. We could drop off our rentals at either location and used the same lift tickets to get access to both mountains. There was absolutely no hassle. 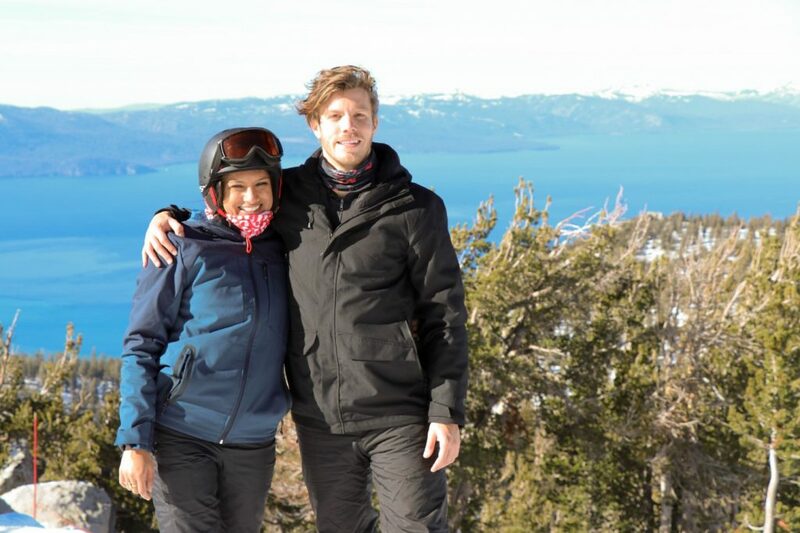 As long as you have a vehicle to drive between north and south, I recommend visiting both resorts while skiing in Lake Tahoe. The hourlong drive is also really easy and beautiful. 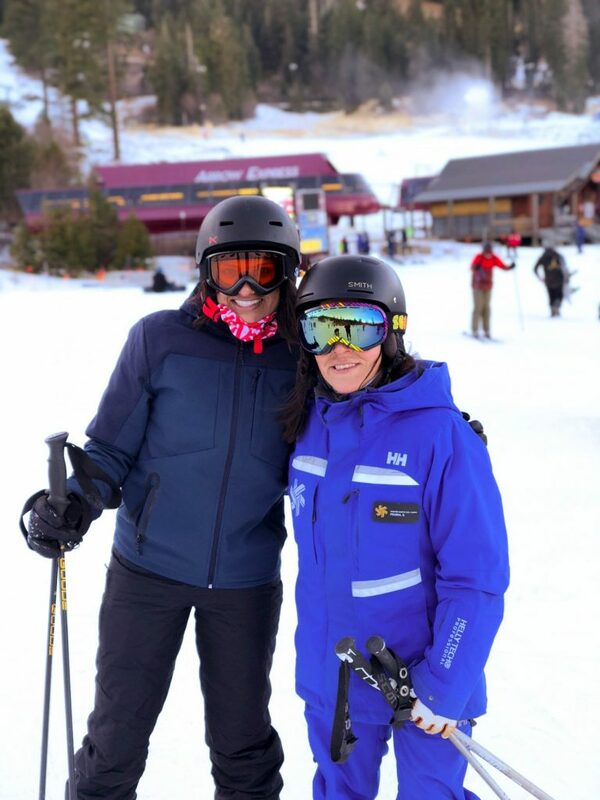 Weather permitting, you’re guaranteed to have a great time skiing or snowboarding and meet incredible people at Northstar and Heavenly. I really can’t wait to get back on the slopes this winter! Thanks to Vail Resorts for hosting me in Lake Tahoe. All opinions and ski falls are my own!